¡Buenas noches! ¿Cómo ha ido la semana? Espero que genial. 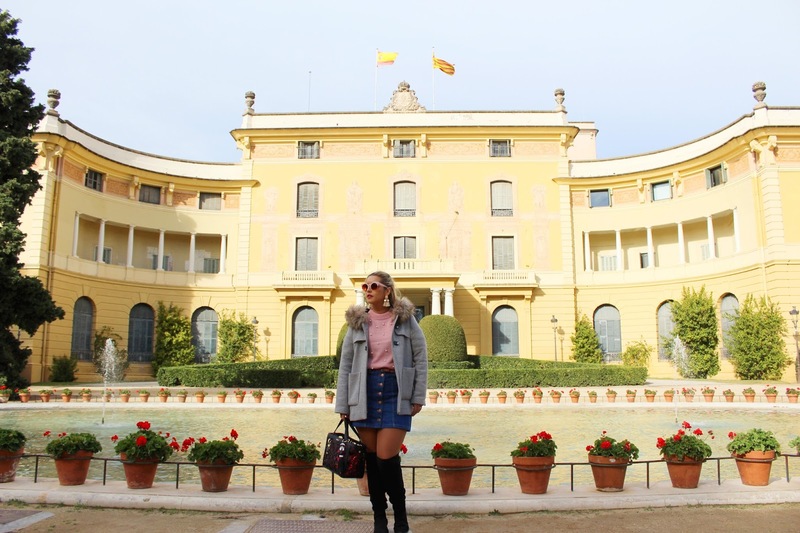 La mía ha sido un no parar, pero seguro que la semana siguiente será mucho más tranquila. Ahora vamos aprovechar el fin de semana para descansar y disfrutar al máximo porque pasa volando. Hoy os traigo un look super dulce. 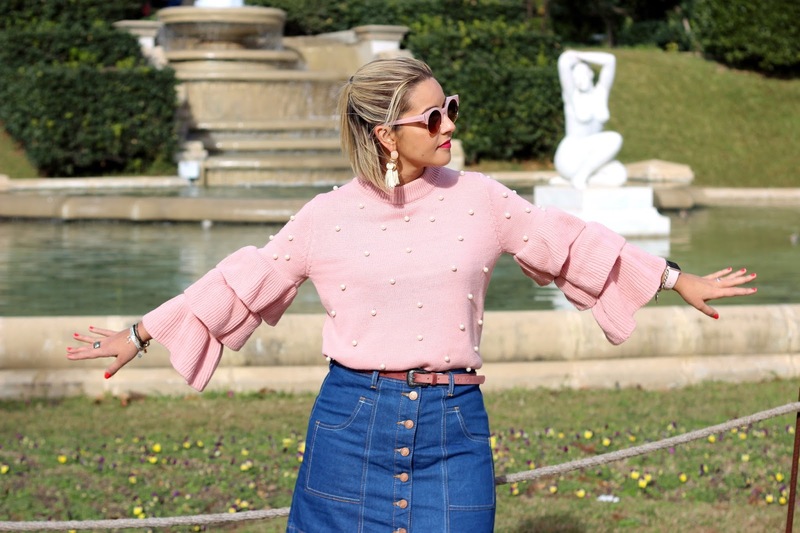 En el look de hoy llevo mi nuevo jersey rosa de punto con perlas y volantes en las mangas de Zaful. Lo combiné con una falda tejana y mi abrigo gris con el pelo en el cuello, que es tan cómodo que me lo pongo casi cada día. 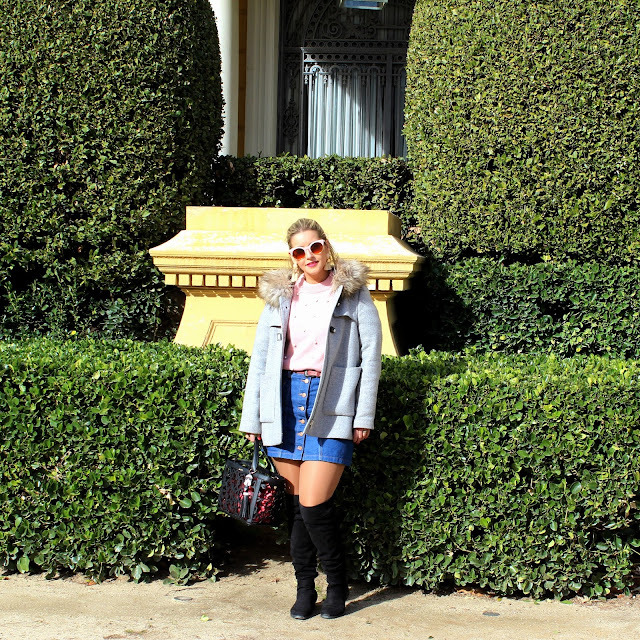 El resto de accesorios fueron mis botas negras por encima de la rodilla, mi bolso de Tous y mis gafas en tonos rosas de Miss Hamptons. Good night! How did the week go? I hope it was great. My week was very busy, but I'm sure that the next week will be more quiet. Now it's time to enjoy the weekend, because it goes by so quickly. 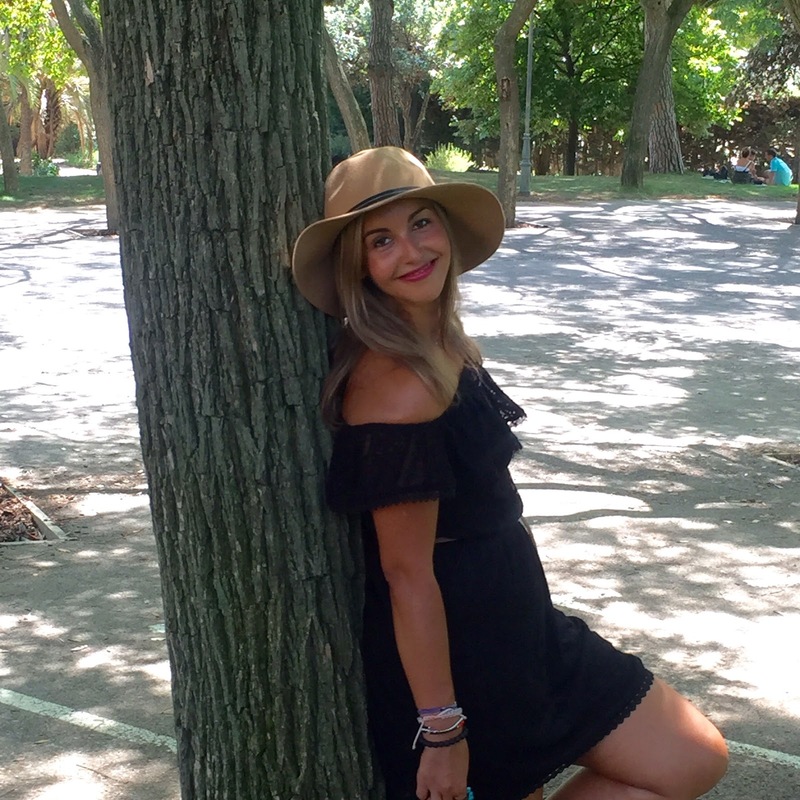 Today I show you a very sweet outfit. 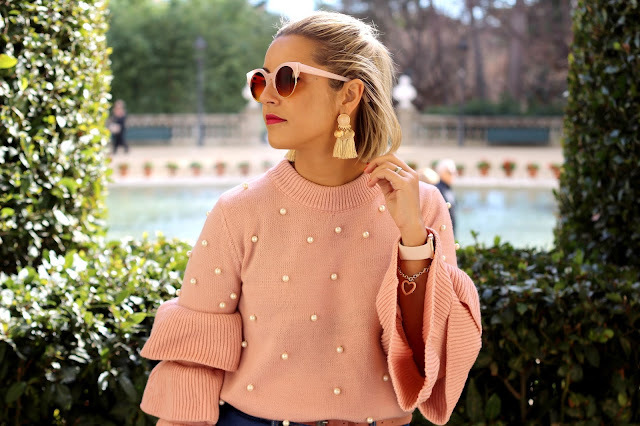 In the outfit of the day I wear my new pink sweater with pearls and ruffles in the sleeves from Zaful. I wear it with a denim skirt and my grey coat with fur in the neck that it's very comfy and I wear it practically all the days of the week. The rest of the accessories were my black boots over the knees, my bag from Tous and pink sunglasses from Miss Hamptons. Si la falda de por si ya me chiiifla ni te digo el jersey. La faldita tejana con las botas queda genial! El jersey es monísimo! !